Finally, WhatsApp has announced the most awaited feature – WhatsApp web. This enables you to send and receive WhatsApp messages directly from your PC/MAC. An a great feature for people like me- who are more attach to their computer than their smartphones. This also enables you to send large pictures from your computer, directly to WhatsApp contacts without importing them to the smartphone. Since its mirror your WhatsApp on a smartphone to the computer your device should be connected to the internet. 1. Head over to https://web.whatsapp.com/ from Chrome browser on your MAC/PC. The webpage (see screenshot below) will load a QR code on the screen. Sometime it takes the time to load the QR code, so be patient or refresh the page. 2. 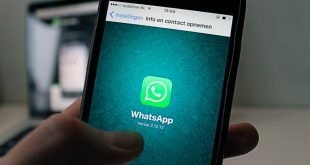 Scan the QR code from your smartphone running WhatsApp. Depending on your device OS, follow the instruction given at the bottom of a webpage. Steps are different for each OS. For Android user, navigate to WhatsApp > Menu > WhatsApp Web. If you don’t find this option on your WhatsApp, then update it from your store or by downloading the latest version from its official website. 4. Once you launch the built-in QR code reader, inside WhatsApp. Scan the QR code on the screen, and your WhatsApp conversation will automatically appear in the browser. 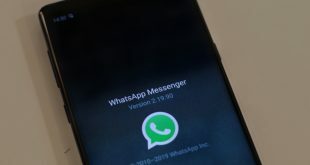 WhatsApp on the web is similar to that of a smartphone. You can access your contacts, send them messages, see their contact info, even send them images from your computer. However, support for sending audio files and video files are still not added. To get notification click on three vertical dots and turn ON desktop alert. 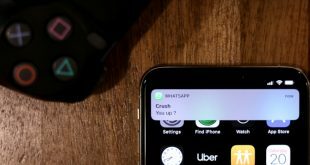 Previous I was using Airdroid to mirror my android screen to the computer (see video tutorial) But now that we have official WhatsApp’s web app, I prefer it over Airdroid. What’s your view on new WhatsApp web feature, let me know via comments below.